As numerous education studies indicate a consistent and steady decline in student enthusiasm and enjoyment, Urbandale is moving away from old paradigms that have outgrown their effectiveness in order to embrace proven, strategic methods that better prepare students for success in our 21st century workforce. The Urbandale Approach is about making the significant shift from teaching to learning—with the intention of increasing student achievement and success. Teachers and students are partners in education where teachers serve as ‘facilitators of learning’ by giving students greater ownership and voice in the process. 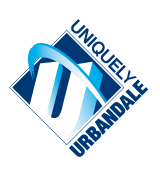 By incorporating Quality and Continual Improvement (Q/CI) practices, Urbandale is redesigning learning environments to become more purposeful, relevant, and inspiring. We’re thrilled to share that student proficiency and achievement results are steadily increasing throughout the district and invite you to learn more by downloading the Urbandale District Brochure and visiting the Q/CI Showcase!